Did you know there is much more information being provided to you, as a consumer, when it you apply for credit? Whether you’re approved or denied, there are new rules from both the Federal Trade Commission and the Federal Reserve that makes it illegal for lenders to not provide certain detailed information. The laws have been in place for not quite a year, but most consumers aren’t even aware of them. This week, we explore those new compliance issues. Of course, it depends on what kind of credit you apply for, but any time you submit an application to your bank, credit union, mortgage company, credit card company or even when you apply for a retail credit card, there’s going to be a lot more for you to examine as to why you were approved or denied credit. 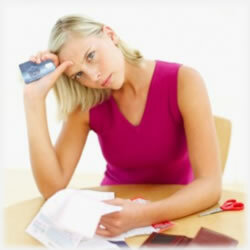 In some cases, shortly after you apply for credit, you will receive what’s called a “Credit Score Notice”. This notice includes not only your credit score, but other information about how your credit score compares to other consumers’ scores. A lender must provide this notice to all credit applicants, whether you apply for a mortgage, an auto loan, or any other type of credit – including credit cards. This notice will be provided regardless of the terms of credit offered to you. If, however, you don’t have a credit score at all, the lender’s notice will identify the particular credit bureau that does not have a credit score available for you. It should also include information on how to contact that credit bureau. If you have been denied or declined credit, and if that lender used your credit score in any way during its decision making process, you should receive within a few days an Adverse Action Notice. This notice must provide your credit score and any related information. Be sure to check the credit score that bureau or bureaus provided and don’t hesitate to contact the bureau for more information. Keep in mind, though, there are laws that limit the information giving to callers or even email requests. You may have to prove your identity. If you think it’s wrong, we strongly encourage you to dispute the information. You’d be surprised at how many credit reports contain errors in this country. You can also visit the websites of ay or all of the bureaus for detailed information on how to dispute entries you don’t believe are yours. If you are offered credit, but on terms that aren’t exactly what you were hoping for – say, a higher APR on a credit card – stay on the lookout for what’s called a Risk-Based Pricing Notice from that particular lender. If this doesn’t sound familiar, it’s because it’s a new requirement that lenders must comply with when a consumer has applied for credit, the lender uses the consumer’s credit score, and the consumer is offered credit on terms that are less favorable than the terms offered to other consumers. The FTC also says that if you’re offered a loan with an annual percentage rate that is higher than the APR offered to other consumers who apply for that loan, and your credit score is used in any way in the underwriting process, you will receive one of these notices. Remember the new laws that now force credit card companies to provide a 45 day window between the time they tell you they’re going to raise your APR and the actual date it increases? This plays into that new rule. If the APR on an existing credit account is increased because the lender has reviewed your credit report or score, you will receive an Account Review Risk-Based Pricing Notice. This notice will include credit score information if your APR on an existing credit account is increased based on a review of your consumer report and if your credit score is used in the decision making process. Some credit card issuers conduct periodic reviews of customers’ credit reports. If there has been a change in your report since you initially applied for the card, the issuer may increase your APR. If the issuer used your credit score in any way in the account review process, you will receive this notice and it will provide the credit report information that resulted in the APR increase. These new laws are designed to keep consumers in the loop when it comes to their credit. It’s all about transparency. You’re given every opportunity to dispute any kind of information that affects your financial health. You should always review these notices carefully so that you’re informed as you go about deciding what to do with any lender’s decision. Remember, too, that these decisions were made because of information that already exists – if it’s wrong, you must take steps to have it removed; otherwise, you risk paying far more for credit than you have to. Dispute the errors, make some noise, request the bureaus investigate it to the end. It’s also good advice to request an annual credit report so that you can stay on top of your financial history. Again, millions of Americans have inaccuracies on their credit reports and most are unaware of it. There are other instances where you can receive a free credit report. Of course, you’re entitled to a free report if a company takes adverse action against you, such as denying your application for credit, insurance, or employment, based on information in your report. Keep in mind, though, that you must ask for your report within 60 days of receiving the notice of the action. That notice will also provide the name, address, and phone number of the credit reporting company. Aside from that, you’re also entitled to one free report a year if you’re unemployed and plan to look for a job within 60 days, if you are on any kind of welfare program or if there have been inaccuracies as a result of fraud or identity theft. Aside from those circumstances, a credit reporting company may (and will) charge you up to $11.00 for another copy of your report within a 12 month period. You will likely have a fee to pay to all three bureaus. There are new reasons, too, as to why your credit score matters. That dream job or the low insurance premium could be jeopardized. Insurers and potential employers now use credit scores to determine whether or not you’ll make a strong employee or a safe risk for a new policy. If you can get the errors removed (if there are any) and then stay on top of it, the thought of shopping for new insurance or a new career won’t keep you up at night.